After numerous amazing updates for 'Fortnite,' Epic Games will add a new mode to the video game. 'Fortnite' Battle Royale New game mode. Two months after the release of Battle Royale mode, "Fortnite" has become one of the most popular Video Games. Thanks to its affordable price, the PvP mode, and constant updates, this game has attracted millions of players all over the globe. Considering that Battle Royale mode is free, it's really amazing how many updates players get. There is a big update nearly every week, and beside it, there are numerous hotfixes that are applied every few days. 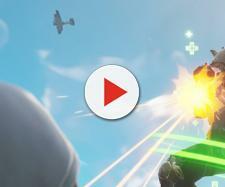 Earlier today, Epic Games released another big update for "Fortnite" Battle Royale. This update fixed several bugs, made a few gameplay changes, and it added a smoke grenade to the game. However, players will get even more content as the game developer is preparing a huge update in December. 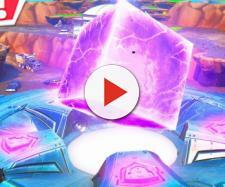 The latest "Fortnite" Battle Royale mode brought a new announcement that can be seen in the opening screen. The announcement revealed there would be a new Game Mode added to "Fortnite" Battle Royale, but it didn't reveal any details about it. "Watch The Game Awards show on Dec.
7 ... details on a fun new mode will be revealed live," is what Epic Games wrote in the announcement. In just over a week, we will get more details regarding the new game mode, and hopefully, players will love it. Considering that the game will most likely retain its battle royale style, it will be interesting to see what the game developer has in mind. Could it be an objective-based game mode with 100 players? Or maybe a 50v50 game mode? Will Epic Games add the Infected mode from "Call of Duty" series? There are many theories, but we will not know many details until December 7. 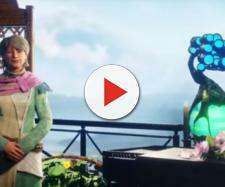 However, the game developer did reveal one tiny detail on Reddit. According to Epic Games, this game mode will be limited, and it turns out that "Fortnite" Battle Royale players will get many limited-time modes in the future. One of the biggest "Fortnite" updates was the Fortnitemares update. This update was released shortly before Halloween and it contained some Halloween-themed weapons, skins, and other in-game items. Considering that Epic Games added a new event for Halloween, there's a good chance that the new game mode will be related to Christmas. Considering that it will be time-limited, players will probably be given a few weeks to try it out. It won't be surprising if we get a snowy map and a 100-player snowball fight!